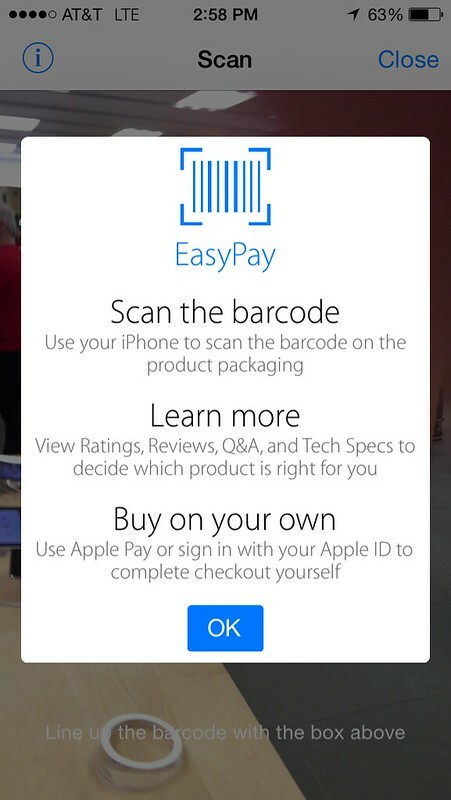 When you are in an Apple Store you can use your iPhone to scan in a bar code and use Apple Pay to self-cehckout. 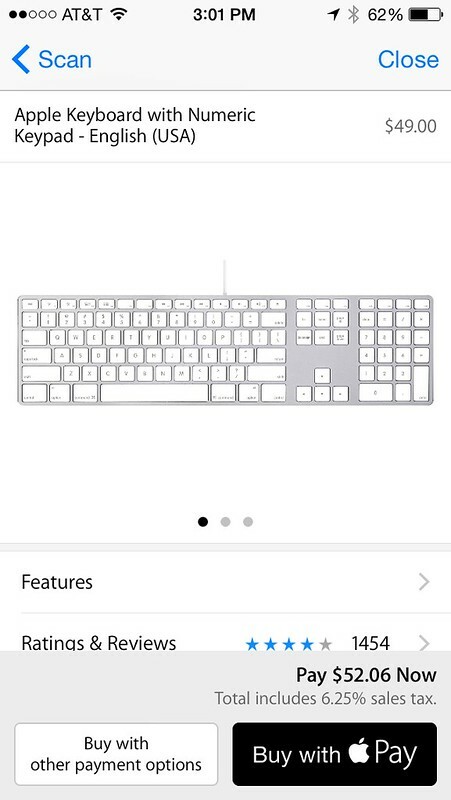 I thought this was great, so I scanned in a keyboard that I was considering buying. I was ready to buy with Apple Pay, but then I clicked on the reviews. So I didn't buy the keyboard. But I still think this is cool.